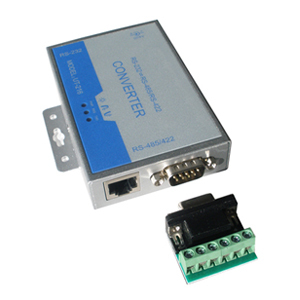 This bi-directional combined RS-232 to RS-485 / RS-422 converter is a solid commercial and industrial grade converter. 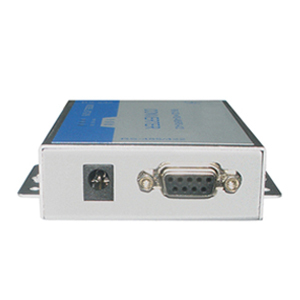 It converts RS-232 signals to half-duplex RS-485 balanced differential signals or RS-422 full-duplex. With its surge protected interfaces to protect your equipment, data and the converter itself against high voltage surges, this converter is suitable for most industrial, commercial, office, lab and network applications, even i tough environments. It uses an external 9 to 30VDC power supply, (a 110/240VAC to 12VDC power supply adapter is included with the converter). All interfaces are included and enabled in each converter. 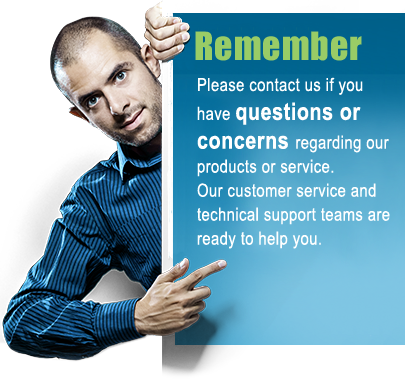 Automatic Send Data Control is enabled which means no control software or drivers are needed for the converter to work. Easy to incorporate in any point-to-point and point-to-multipoint network. The converter can be mounted on a standard DIN rail with DIN rail mounting clips (not included). 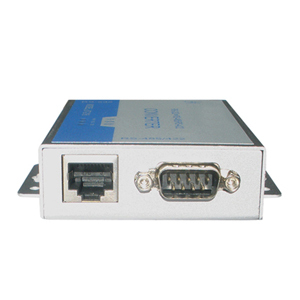 Interface RS232 DB9 female connector. Pin 7 (RTS) and 8 (CTS) are tied together. Pin 4 (DTR), 6 (DSR), and 1 (CD) are tied together. Power Externally powered by 9 - 30VDC. 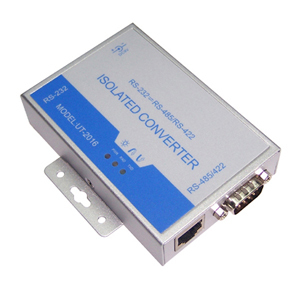 For alternative RS232 to RS485 / RS422 solutions please see our full selection of serial converters.